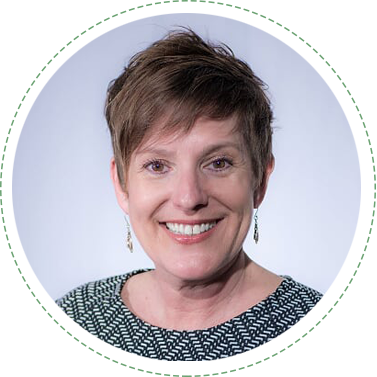 Kat Barber is an NCCAOM board certified Acupuncturist with a Master’s of Science of Chinese Herbal Medicine and Bachelor’s of Science of Nutrition from the Midwest College of Oriental Medicine in Chicago. Kat is an active member of both the American Association of Acupuncture and Oriental Medicine and the Michigan Association of Acupuncture and Oriental Medicine. Kat received additional training and clinical experience in fertility and women’s reproductive health working closely with reproductive endocrinologists at the Fertility Centers of Illinois. She treats women’s health conditions with a special emphasis on infertility, endometriosis, irregular/painful menstrual cycles, menopause symptoms, assisted reproductive therapies (ART) and pregnancy. Kat has specialized training in the treatment of PTSD, attention disorders, anxiety, depression, sleep disorders and pain management. She completed a 2 year post graduate program studying Five Element Acupuncture which focuses on psycho emotional and mental health and wellness. She has a passion in facilitating patients’ optimal health and well-being through customized treatment plans, Chinese herbal supplements, whole foods nutrition and aroma acupoint therapy. In her free time, Kat enjoys travel, hiking, camping, cooking and volunteering at Ferncare clinic in Ferndale, MI that provides no-cost medical care to the medically uninsured.